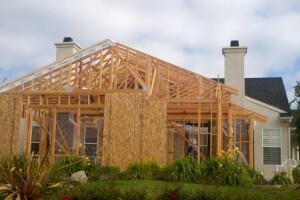 When you get bids on home improvement jobs here in San Diego, or anywhere, be careful with choosing based on price alone. There are many less-qualified companies who do not have the proper experience, tools and team to do the job the right way. These companies often do not have the proper licenses, bonding and insurance, especially the workman’s comp insurance needed to cover any accidents that would injure a worker on your property. We call these type of companies “Chuck and a Truck” because they are not real companies, just a guy with a truck and a name. If you get a bid from “Chuck and a Truck”, you may be surprised how low the bid comes in. That low price can be appealing. But, it the end the real cost can be much, much higher. Once they get your job, Chuck and a Truck will often issue a stream of “change orders” that claim there were “unforeseen issues” that are going to increase the price. Also, the workmanship, material quality and schedule will be far from what was promised. As well, the uninsured company could leave you holding the bag if there is an injury on your property and they don’t have the insurance to handle it. If a bid is far below what is expected, or below other well-respected companies, there is usually a reason why. You should always make sure you are comparing the same work and materials on the bids, weed out the very low and very high bids and check the references, license, insurance and bonding status of the companies. We have done a lot of that work for you by only giving Approved Home Pro status to the very best companies. No “Chuck and a Trucks” here.